Jo is an Associate with Concentric Equity Partners and joined the firm in 2017. She is responsible for originating new investment opportunities, executing new investments and working with portfolio companies. 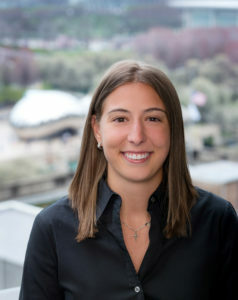 Prior to joining Concentric, Jo was with Robert W. Baird, an investment banking firm based in Chicago, and was a member of the Global Consumer Group. While at Baird, she provided support on mergers and acquisitions, equity offerings and other financial advisory services. Jo received a B.S. in Finance and Accounting from Indiana University Kelley School of Business. She is a Certified Public Accountant.